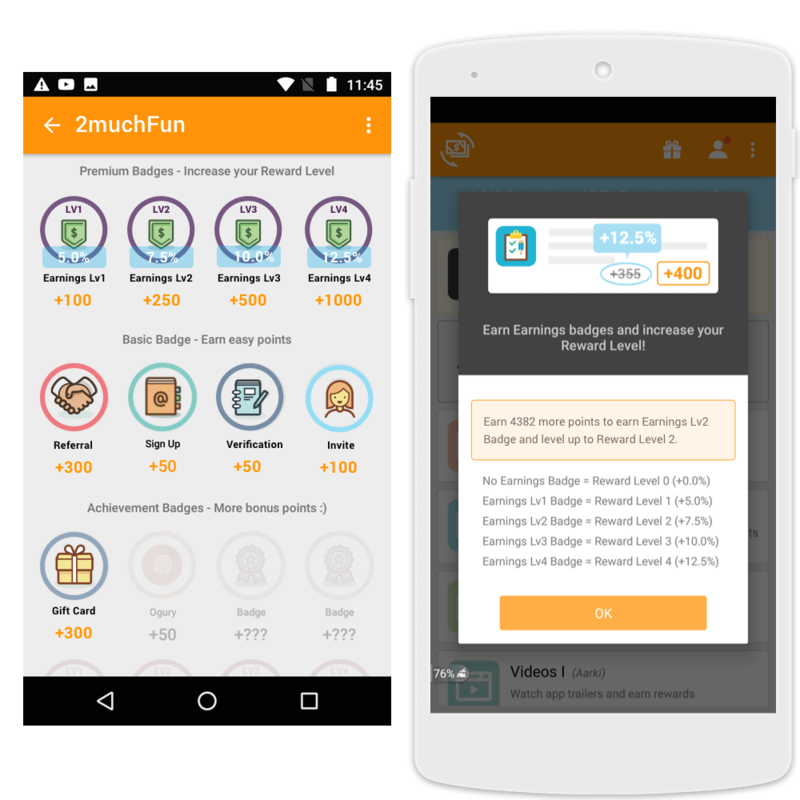 Earn rewards by completing surveys and more. 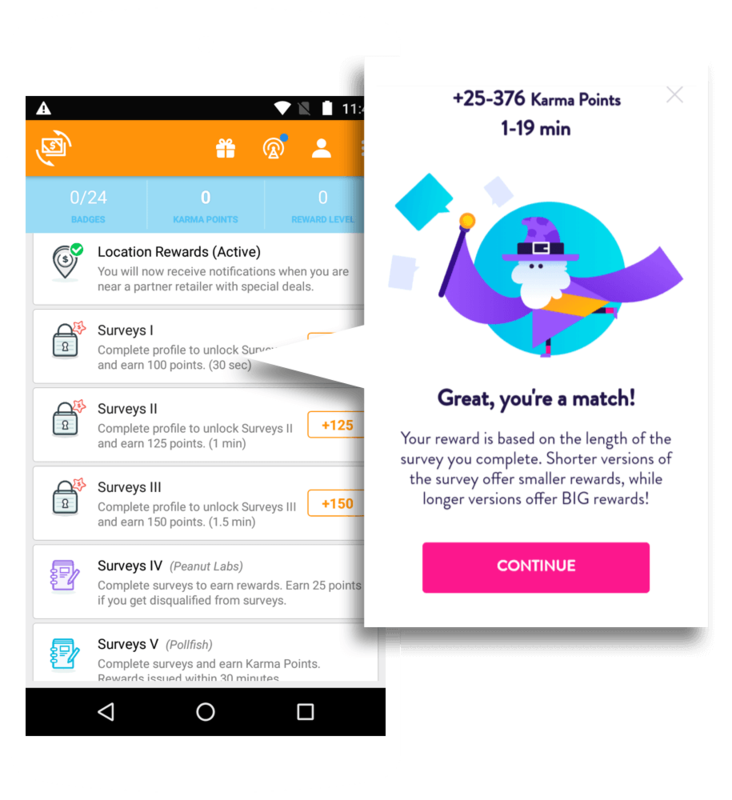 The only reward app that lets you earn rewards even if you don't qualify for the survey. 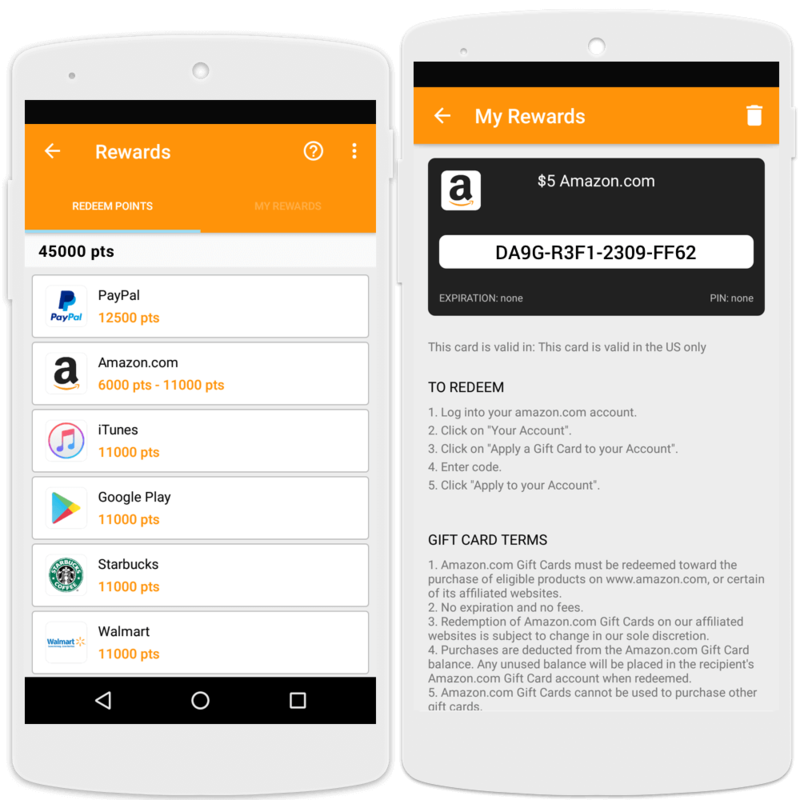 Redeem your points for PayPal cash and Amazon.com gift cards. Gift card codes are loaded right on your device. A lot more gift cards will be added very soon! Increase your REWARD LEVEL each time you earn an Earnings Badge (Levels 1 - 4). You can earn up to a 12.5% bonus each time you complete an offer.